I will be blogging our process and experiences here and will explore specific aspects of the house and our cars in more details in separate web pages. Links to those can be found below or they can be found at the top of the page. We also have a "Partners & Resources" page where we list many of those that helped us reach our dreams. If you are interested in building a Net Zero house, want more information on energy efficiency, or just like some of the neat stuff in here, you can find links to each company there. 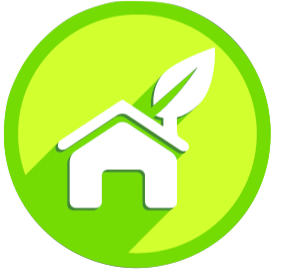 That page will also have links to other resources for information about energy efficiency that are not necessarily directly involved in building our dream house. Whether you are just curious, interested in building your own highly efficient home, interested in electric cars, or want to live in a healthier home, there is something here for you. When I say "net zero house" I am using the common definition of a house that produces as much energy as it uses over a year. ​In our case, there is a bit of a twist. In addition to the energy our house uses over a year, our house also produces as much energy as our cars use over the span of a year! ​These include Health, conservation and economic health. With focus on low, or no VOC sealants, paint, etc, very few carpets to collect allergens, and a heating system that doesn't spread particulates, we feel healthier in our new house than we ever have. We want to minimize our water use. Although we are blessed with an abundance of fresh water in Minnesota, any water we use needs to be treated, and much of it heated as well. This means saving water also saves energy and places less stress on our city's infrastructure. We made sure to use local material when ever possible. This both minimized the energy required to transport the materials and contributed to our local/regional economy. Net Zero is just the beginning! We gave preference to companies/manufacturers that work in environmentally friendly ways. Producing products without using toxic or harmful components such as volatile organic compounds (VOCs). The longevity of a product, or the entire house, also plays an important role. For example, if you buy a poorly made shirt, it may not last too long. One very well made shirt that lasts ten years will save more energy than ten shirts that fall apart each year, even if the well made shirt takes twice as much energy to make. Wood doesn't transmit heat as easily as metal, but it still does. This way most of the wood is not continuous through the entire wall, minimizing thermal bridging. For comfort as well as health a good HVAC system is a requirement. We will be using a ground source closed loop heat pump, also called a geothermal heat pump. Not only are we using a geothermal heat pump for our heating, we are also using it for our domestic hot water. In addition, we have an Air Handler which uses forced air when/if the infloor heat isn't fast enough or has trouble keeping up and operates a compressor to concentrate the heat from the loop field. How does a heat pump work? Well, have you ever noticed on a refrigerator with coils on the back, how the coils heat up? Or perhaps how an air conditioner unit that sits outside heats up? That is basically how any system that cools something works, it transfers heat from the place you want to be cool, to another location. Basically it is just moving heat from one place to another. Your refrigerator takes heat from inside and then transfers that to outside the fridge where it can cool off. Many of these systems will use a liquid of some sort, because liquids hold heat better than air. A geothermal heat pump works the same way. The ground (below about 10 feet) is always about 55 degrees, winter or summer. The system uses a series of tubes that carry liquid through the earth, returning that warmth to the house and concentrating it. This can also be done to exchange heat from the air outside instead of the ground. This is less expensive, however, it is also much less efficient as it gets colder outside (you can only get so much heat out of air that is zero degrees). The advantage to using the ground as a source of heat is it is always between 50 and 60 degrees below 10 feet. And in the summer, rather than trying to move heat out of the house into the air that may be 80, 90 or more degrees, it is much more efficient to dump that heat back into the earth where it is still about 55 degrees. We are designing the HVAC system with a number of zones in the house. This will allow us to only heat of cool areas of the house we are in, or expect to be soon. The ventilation system also has a number of interesting aspects not normally seen in residential HVAC systems. For example, small rooms, that still require a vent, may have smaller vents. No need for a closet to have the same size fresh air vent as a bedroom four times the size. We also are taking precautions to plan out the ductwork paths carefully. We want to minimize bends and turns in the ductwork as well as have short runs of the ductwork. The longer the path is, as well as the more turns in the ductwork, the more energy it takes to move the air through it. Our house is very highly insulated with very little natural ventilation. For comfort and health, we need to provide fresh air. We are doing this with something many modern houses use, an Energy Recovery Ventilation (ERV) system. This system will take air from inside and run it past air it takes in from the outside through a series of vents. This is done in such a way that the heat and humidity is taken from the inside air and transferred to the fresh air from outside. Once warmed, or cooled, the fresh air is released through the HVAC system. This also helps prevent the inside of the house drying out as much in the winter! Conserving water saves energy and money. Combined use of permeable surfaces, careful sloping of non permeable surfaces, rain gardens and curb cuts, allows us to treat all the rain that falls on our lot, as well as some of the water from the street and filter it naturally. Of course, the rain doesn't always fall when we want it to (sometimes it seems as if it doesn't fall at all!). Our energy comes from a fusion generator! Our solar panels will absorb, and convert energy from our local fusion power plant (located some 93 Million miles away) into enough electricity over a year to run everything in our house as well as both of our electric cars! I will be continue to update how well our plan is working in my Blog. Our home will be powered solely by electricity. We have no natural gas appliances, we don't even have natural gas lines running to the house. Basically you could generate as much energy as the world uses with enough solar panels to cover an area a bit larger than the state of West Virginia (see this link for details). There is, however, no free lunch. The solar panels take energy to build and the power generated depends upon the sun. At night, no power, during cloudy days the amount of power generated is greatly reduced. To solve that issue, some form of backup, or power storage is needed. How can I get some panels? The most common methods of taking advantage of solar panels is to either buy, or lease them. Buying them can be thought of as buying 25 years worth of power for the cost of 10-15 years of power bills all at one time. This can be as little as 7-8 years (I've even seen 6) depending upon local incentives for solar panels. Also, if the cost of electricity goes up faster than expected the payback will be shorter still. A good resource for more information from a Minnesota company is at Community Solar.. According to the U.S. Energy Information Administration, in the typical household in 2009, over 36% of the energy was used in lights and appliances. Finding energy efficient appliances are a great way to keep your energy use down. We plan to use 100% LED lighting in the house. All of our appliances are Energy Star appliances. Many greatly surpass the requirements for Energy Star. The added convenience of waking up every morning with a full "tank" is wonderful. The quality of the drive and performance are amazing! Our home is designed to produce as much solar energy the house AND two electric cars use annually. We calculated the energy needed using 24,000 miles for both cars combined. This is about 8,000 fewer miles than we used to drive. The majority of those savings is because we are now 15 miles closer to the center of the metro region. This means most days that we drive somewhere, we will take 20-30 miles off the round trip.